Ruth Watkins was selected as the new president of the University of Utah on Thursday, Jan. 18, 2018. 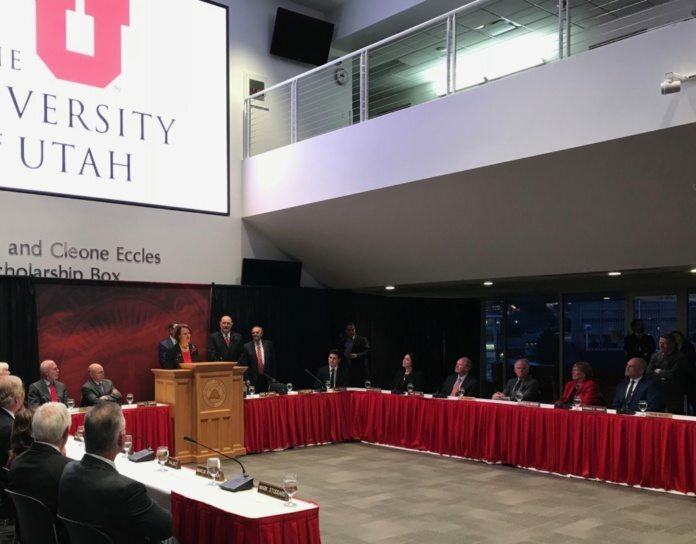 The Utah State Board of Regents voted Thursday to make Ruth Watkins the 16th president of the University of Utah and the first woman to lead the school. The announcement was met with applause, cheers and a standing ovation at the regents’ public meeting in Rice-Eccles Stadium. Watkins, who has been the senior vice president for academic affairs at the U since 2013, will replace President David Pershing. Utah Commissioner of Higher Education David Buhler said that although it is still uncertain when and how Watkins will take over as president, the transition process will take place in the spring. “President Pershing is still at the helm and we know he is going to lead us to a good landing with President Watkins,” Buhler said. Watkins was chosen from three finalists, which included Nicholas Jones, who is executive vice president at Pennsylvania State University, and Thomas Katsouleas, who is executive vice president at the University of Virginia. 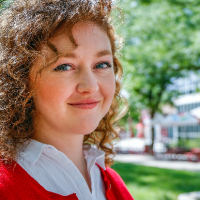 The finalists were picked by the 25-member Presidential Search Committee, and after interviews conducted by select student leaders, faculty and staff, the Board of Regents chose the new president. The committee was initially made up of 24 members, but one was added after about 15 students marched into a September public hearing concerning the presidential search toting posters that criticized U administration’s handling of race issues on campus. Of the 24 original members of the search committee, only four were people of color. The U announced a Presidential Anti-Racism Task Force in October to address tension surrounding race relations on campus. Watkins said she plans to move forward with this group and aims to continue to get to know students of color. Before Pershing was under fire from students disappointed in his handling of race issues, he was steeped in controversy over a lack of transparency regarding decisions to fire and hire top university employees. Having held the position since 2012, Pershing announced to the U’s Academic Senate in May that he would step down as president. Pershing said he had planned to retire in August, but decided to move it up following a scandal surrounding the dismissal of Mary Beckerle as CEO of Huntsman Cancer Institute. The action was met with backlash from employees, faculty and Jon Huntsman Sr. — the founder and primary benefactor of the institute. Beckerle was later reinstated. Before coming to the U, Watkins spent 20 years at the University of Illinois Urbana-Champaign (UIUC) in administrative and faculty positions. She has both a master’s and doctorate degree in child language from the University of Kansas. Watkins said her first goal as president is to build relationships with faculty-members and departments that she hasn’t worked with in her current position. “I just want you to know how grateful I am to have this opportunity to work with all of you, to continue the positive trajectory of this institution and to be part of something so important as the mission of higher education,” Watkins said.